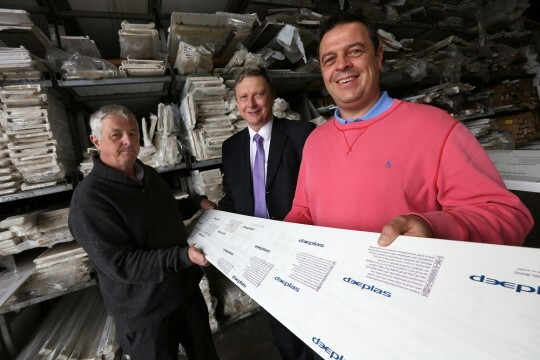 Founded in 1987, MB Distribution has been a customer of Deeplas for over 17 years and supplies the window and building industry across the North East. It puts its success down to careful selection of market-leading supply partners that have been able to help grow and develop its business. Ultimately, this strategic partnering means that its customers receive high quality, reliable products that offer real value for money. The customer loyalty this generates has been a significant factor in MB Distribution’s longevity. MB Distribution has invested in its own fleet of distribution vehicles so that it can offer its customers a more responsive service. The company currently owns a fleet of six delivery vehicles that operate from its 25,000ft² facility. “We recognised early on that selecting supply partners carefully was key to making our business a success and that founding principle has helped us reach our 25th anniversary in a stronger shape than we have ever been,” added Mike. Along with Twinson® decking and Eco Board window board, Deeplas supplies a wide range of foam products to MB Distribution and which have a long established reputation for quality. The range is BBA (British Board of Agrement) and CSTB certified, and carries the BSI Kitemark. White PVC-U products are guaranteed for up to 20 years against discolouration, warping and cracking. Foiled profiles carry a ten-year guarantee. Deeplas operates two installer schemes. 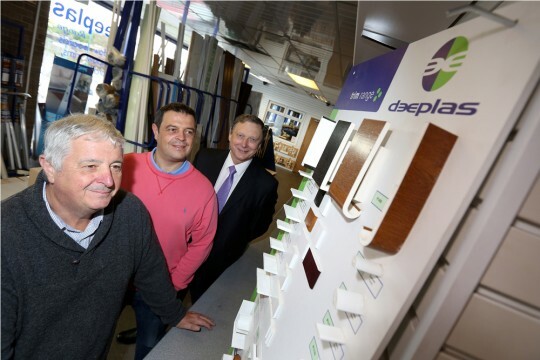 Deeplas Premium Installer Scheme, an accredited programme that ensures all its PVC-U roofline and cladding products are fitted by trained professionals to consistently high standards and Twinson Installer Scheme for the Composite decking and cladding range of products. For information about Deeplas, visit www.deeplas.co.uk. Alternatively, contact the Deeplas customer services team directly on: 0800 988 7309.